We are so fortunate in thatt we already have all the things we need for our home. Our friends and family told us though that they still wanted to honor our marriage with a gift -- so we registered with HoneyLuna, the Honeymoon Registry Service where you can now buy us really fun, adventerous and experiential items and activities of our honeymoon as wedding gifts! You can be sure we will remember and cherish your wedding Gift from our HoneyLuna Honeymoon Registry for our lifetime! With your lovely wedding gift, we will take comfort in the beautiful settings of the One Bedroom Ocean View Suite. This tropical retreat is decorated with a modern island design, a palette of crisp whites and rich creams, dark hardwoods and fine furnishings in the separate living area. We will indulge in the king size Heavenly Bed with luxurious bedding, take delight in the marble Heavenly Bath and admire stunning views of the alluring Caribbean Sea from our private balcony. So Sammy can have a HoneyLuna, we're including contributions to Sammy's suite at Biscuits and Bow's Doggy care on our HoneyLuna Honeymoon Registry. Â Sammy will really appreciate your generous gift! Thanks to your thoughtful wedding gift we will tantalize our taste buds at The Terrace for breakfast, lunch and dinner. With stunning views of the Caribbean Sea, we will choose from an extensive menu of freshly prepared fare enhanced with enticing spices and herbs. 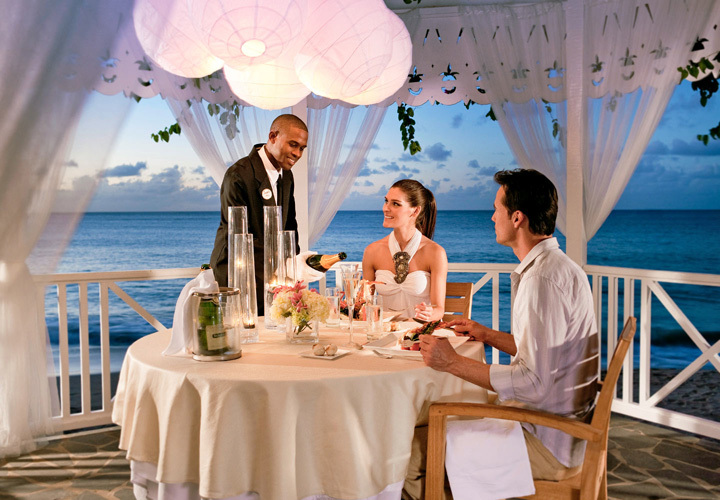 The Terrace promises us an exquisite dining experience on our honeymoon in paradise! 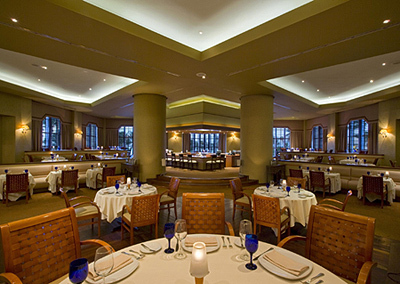 At The Westin Resort and Casino, Aruba we will enjoy a fine dining experience on our honeymoon. Pago Pago Steakhouse boasts a charming atmosphere beautifully designed with modern decor and a tantalizing menu of appetizing dishes for dinner. Expertly prepared cuisine will be cooked to our liking, including their famous mouth-watering rib-eye and sirloin steak, freshly grilled seafood specialties and many other favorites. Our meal will be finely accompanied with a glass of our favorite wine, followed by a decadent dessert! On our romantic honeymoon we will experience the exclusive restaurant, Blossoms. 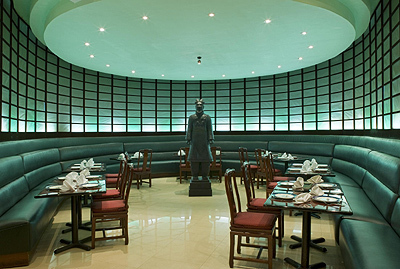 Featuring a Zen-like atmosphere, this unique restaurant serves Japanese and Chinese delicacies. We will choose from a menu of fresh fish and meats prepared with local ingredients and enticing herbs and spices. At Blossoms we will discover impeccable service in the enchanting ambiance of this extraordinary restaurant! We will delight in a unique dining indulgence at Azull on our tropical honeymoon at The Westin Resort and Casino, Aruba. In the exotic elegance of this romantic restaurant we will enjoy a sumptuous four-course dinner prepared with the freshest ingredients. Together we will discover an exquisite, intimate dinner in paradise at Azull! Dining at Cafe Baci will be a delightful experience! At this charming bistro we will enjoy Mediterranean and Caribbean cuisines prepared with tantalizing spices, local ingredients and fresh herbs. 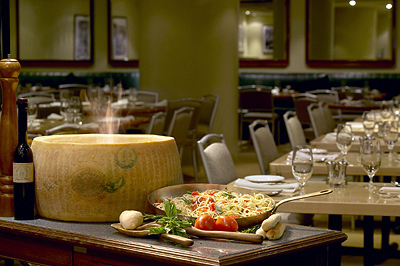 Designed after a Roman trattoria, Cafe Baci promises us exceptional risotto, savory-thin crust pizzas, grilled fish, succulent meat dishes and more enhanced by a glass of wine from their extensive wine list. 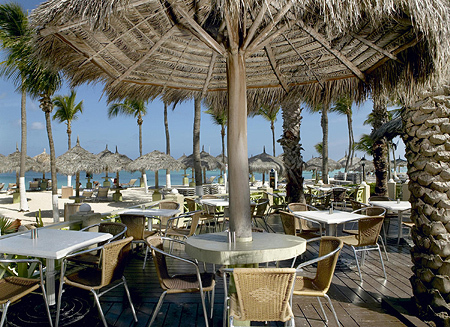 The Palm Beach Bar presents a relaxed atmosphere with tropical charms and modern island decor. Furnished with comfortable teak and rattan armchairs, we will sit back, lounge and enjoy a round of our favorite drinks while admiring the enchanting settings of The Palm Beach Bar! On our romantic escape we will want to do a little shopping so we can bring a piece of paradise home with us. Together we will browse around the gift shop in search of a few honeymoon keepsakes. From beautiful pieces of artwork, stylish accessories and apparel, to locally made products and souvenirs, we will find just what we wanted and cherish these treasures in the many years to come! 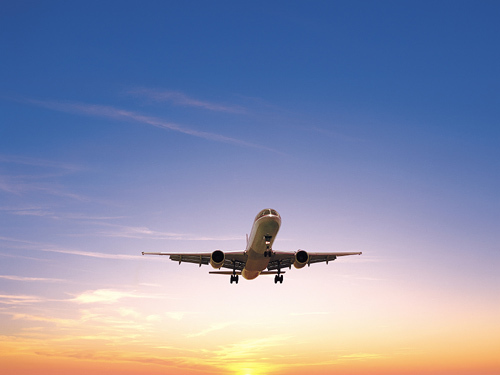 We've included help with our airfare on our HoneyLuna honeymoon registry. 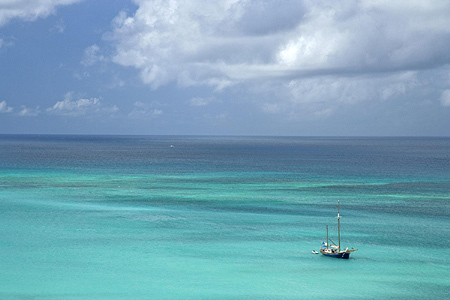 Any help you can give us here is appreciated - we'd really rather not have to swim to Aruba! With your thoughtful wedding gift we will experience the trip of a lifetime at The Westin Resort and Casino, Aruba. Together we will discover the tropical paradise of Palm Beach, Aruba boasting a pristine white sand beach, azure waters and lush natural beauty. We will luxuriate in lavish in-room amenities, indulge in sumptuous cuisine, take part in exciting activities or journey to a world of peace and calm in the spa. The Westin Resort and Casino, Aruba promises us a romantic escape that is just as alluring as it is mesmerizing! Indulging in a Hot Stone Massage on my honeymoon is the perfect way to experience tranquility and bliss! Using heated volcanic stones, my body will be relaxed with soothing massage strokes while the warmth from the stones penetrates deep into my muscles. 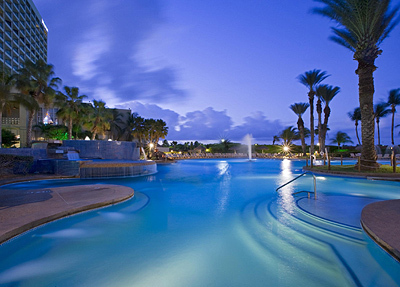 Thanks to you, I will discover pure relaxation on my honeymoon at The Westin Resort and Casino, Aruba. Intermezzo Day Spa promises me the ultimate indulgence with the Relaxing Massage! My body will be pampered with long, soothing massage techniques to instantly relieve stress and tension. This delightful spa treat will leave my mind, body and spirit relaxed and rejuvenated. 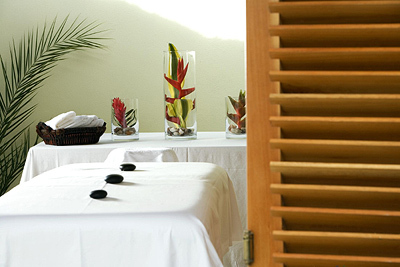 Our romantic honeymoon at The Westin Resort and Casino, Aruba promises us the ultimate indulgence with Sonata Di Luna! While lying side by side, we will receive a full body aromatherapy massage using invigorating essential oils and soothing massage strokes. Next, we will toast to our new lives together with a bottle of sparkling wine and tantalize our taste buds with an assortment of rich decadent chocolates!